Today, I just want to give a few quick baby food recipes Kerala Style. 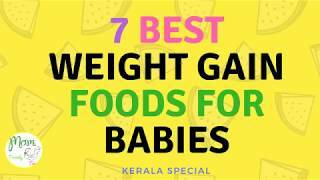 Since I have published few other articles on homemade baby foods of 6-12 months babies, this article is mainly focusing on the making of Kerala baby foods. I used to see my grandma preparing different kinds of baby foods for her grandchildren. I used to wonder sometimes, how she prepares so fast and efficient, that too much care and love! Frankly, I copied a lot of recipes from her and start making for my little one. 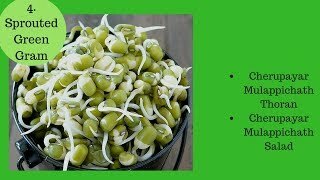 Sharing main Kerala baby food recipes of grandma here. Remember, Breast Feeding can’t replace any foods recommended here. All the other foods are just an addition to that. Preparation: Add 1-2 tsp of Ragi powder in a pan, add water and slowly starts to dilute the mixture by adding rock sugar (or Panakarkandu) and Pure Ghee. Ragi Kurukku is one among the best baby foods for kids. Note: If the child has symptoms of cold and cough, better avoid giving Ragi. Preparation: Peel out both the carrot and beet root nicely. Boil it in water, adding a pinch of salt until it ready to mash. Once ready to mash, take out of water, drain and smash it nicely. If need, add little lukewarm water to make it semi liquid. Note: If the child resists to eat, mix with boiled rice and make it as a semi solid recipe, which would be great for the baby. Preparation: We should give boiled rice to babies of age from 7 months. Boiled rice is rich in Carbohydrates. Take 4-6 tablespoons of boiled rice, add with boiled rice water(kanjivellam) and grind in a mixer till it become semi fluid. Feed it nicely by adding ghee too. Adding boiled vegetables are too good for the health of babies. Note: Adding Ghee is good to free motion avoiding constipation. Find a few more quick baby foods here. Preparation : Mix 2-3 tablespoon of banana powder with 1/2cu p water. Heat this mixture on a low flame and stir continuously until it sets. Later add Rock Sugar /Karuppetty /Kalkkandam and 1 to 1/2 tsp ghee. Around 45-75 ml is ideal for a midday meal. Feed the baby with medium temperature. Note: It is always advised to feed the food with medium temperature. Preparation: Add 2-3 tsp of Njavara Rice powder in a pan, add water and slowly starts to dilute the mixture by adding rock sugar (or Panakarkandu) and Pure Ghee. Note: Navara rice is available to buy from Ayurvedic stores, or else you can purchase original Kerala Njavara rice from Amazon here. Preparation: Peel out potato nicely. Boil it in water, adding a pinch of salt. Once ready to mash, take out of water, drain and mash it nicely. If need, add little lukewarm water to make it a semi fluid food. There are many more baby foods are available in the traditional Kerala style, will be writing soon in my future post. Can i get more kerala recipes for 10month old.? There is also broken wheat/ daliya / sooji godambu kurukku. The preparation is the same as navara rice or raagi kurukku.